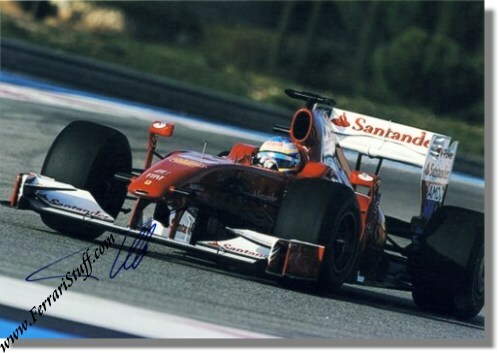 Fernando Alonso signed Ferrari F1 Photo 2010. Here we have GREAT shot of Fernando during the 2010 season in his Ferrari F10. Fernando personally autographed this photo with a blue marker. This is a very rare opportunity to own a great photo signed by one of the worlds greatest racing drivers and items like this will surely appreciate in value.